Karen Scott, MEd, RHIA, CCS-P, CPC, FAHIMA is the Senior Training Specialist at TruCode, and owner of Karen Scott Seminars and Consulting. She has been an educator for many years including teaching in the HIM Programs at the University of Tennessee Health Science Center and Arkansas Tech University. She has worked as an HIM director in an acute care hospital setting, training director for a national transcription company, and reimbursement specialist for a regional physician’s group. 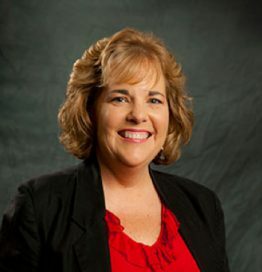 She is past-president of both the Tennessee and Arkansas Health Information Management Associations, past-chair of the AHIMA Council on Certification and past Commissioner for the Commission on Accreditation for Health Informatics and Information Management Education (CAHIIM). Karen is an AHIMA Approved ICD-10 Trainer. In recognition of her significant and sustained contributions to the HIM profession, she has been awarded the designation of Fellow of the American Health Information Management Association. Karen teaches seminars throughout the country and has written several chapters in HIM and Coding textbooks. Her latest AHIMA published textbooks include Coding and Reimbursement for Hospital Inpatient Services and Medical Coding For Non-Coders: Understanding Coding and Reimbursement in Today’s Healthcare Industry.